Roll Tide! Kenny Fleming To Attend The University of Alabama! Connecticut Valley attackman makes his decision! Dan Saucier commits to SCAD! Connecticut Valley Goaltender makes his decision! Eric Walker Commits To Mount Ida College! Connecticut Valley Attackman To Be A Mustang! Charlie Gallop Commits to St. Lawrence Univ. Connecticut Valley LSM Makes His Decision! Hiller Sperry Commits to Wheaton College! Connecticut Valley Midfielder makes his decision! Joe McDonough Commits to CSU-Pueblo! Connecticut Valley Midfielder Makes It Official! Will Witter Commits to Ithaca College! 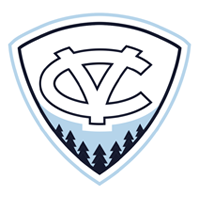 Connecticut Valley attackman commits to Division III, Ithaca College! Sam Sahl commits to UNE! Connecticut Valley midfielder chooses the University of New England! Logan Adams commits to Lynchburg College! Connecticut Valley Attackman Commits to Top 10 Division III Program. Another Valley Alum to Clemson! Sean Neagle will attend and compete for MCLA Member, Clemson University! Connecticut Valley Midfielder, Will Lamoreaux, commits to Clemson University! Connecticut Valley Goaltender, Josh DiMassa, Chooses Division III Newcomer, Wheelock College.